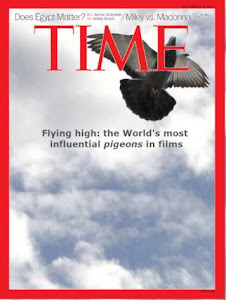 This movie is about pigeons at war. At the beginning Valiant is a young recruit of the Royal Homing Pigeon Service. The film shows the pigeon training in Britain and subsequent service in France during the WWII. It includes all the ingredients of a war movie: hard training in a recruit facility, many action scenes, and a romance between Valiant and Victora, a nurse dove. It is interesting that the characters behave just like humans and they are not pigeon-realistic at all. However, they perform a genuine pigeon duty: to deliver messages during war time. Another characteristic of war movies is the character's evolution: at the beginning Valiant is a young pigeon that seems to be unable to go to war, then during the war he evolves into a tough pigeon and finally he becomes a veteran hero (see pictures below). 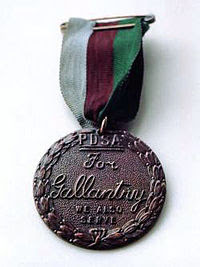 I would like to mention that at the end of the movie Valiant received a Dickin Medal, which honors the work of animals in war. In the real world this medal was conceded for the first time to three pigeons named White Vision, Winkie and Tyke. All of them carried out outstandingly heroic actions. For instance, White Vision was released from a sinking flying boat. She flew 60 miles back to her loft carrying the plane's location in very hard conditions: heavy seas with low visibility and strong headwind. Thanks to this action the plane could be located and the crew rescued. After that, many other pigeons received this medal. In the Royal Pigeon Racing Association you can see a summary and a brief description of each feathered hero. This movie shows an important contribution of pigeons to the war effort. Is this an advanced kind of human-pigeon symbiosis? Valiant as a young pigeon before recluitment. 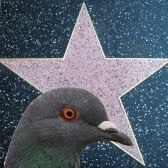 Pigeon activity: Valiant and his friends are pigeons which serve the Royal Homing Pigeon Service. They are involved in many war actions against the enemy: German falcons. 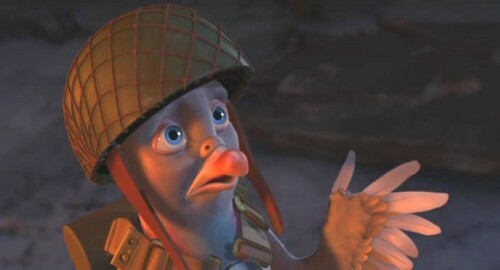 Symbolism: In the end, the pigeon characters behave like humans that do pigeon duties, so this is a mere excuse to record a war movie with a different perspective from the others.